As I write this note, I am just about to leave for my 14th trip to Kenya since 2007 when our program launched. While in Kenya, I will have many meetings with members of our team to discuss how the organization performed in 2014 and to agree on priorities for 2015. I will meet with local funders and supporters and try to cultivate a few new relationships. And on February 14th I will attend Peter Ndungu’s wedding to Phidilia Mwachala – my first African wedding. Our Largest Class Ever Takes KCPE and Scores Are High! 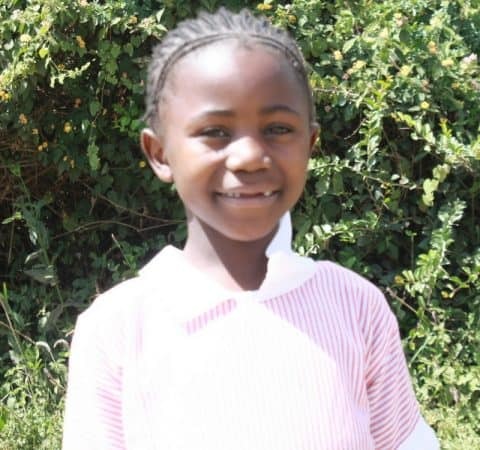 Each year, students finishing 8th grade in Kenya take the Kenya Comprehensive Primary Exam (KCPE), a nationwide exam graded on a 500-point scale. In 2014, our program had 51 students finish 8th grade and complete the KCPE. This is our largest class ever. We continue to measure the performance of the children in our program. The Kenyan education system is focused on two tests – the Kenya Certificate of Primary Education (KCPE) taken at the end of eighth grade and the Kenya Certificate of Secondary Education (KCSE) taken at the end of twelfth grade. We now have enough information to demonstrate that we are consistently producing superior academic results at the eighth grade level. 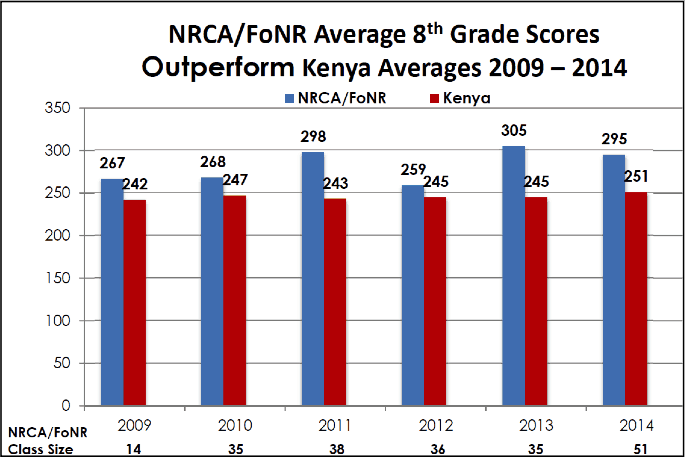 As shown in the chart at right, the children in the Ngong Road Children Association/Friends of Ngong Road program have scored, on average, better than the Kenyan average for six consecutive years on the KCPE. We believe this is solid evidence that your support of our organization is well-placed. KCPE performance is important because it allows our higher-performing students to attend higher quality high schools which in turn will better prepare our students for the KCSE exam at the end of their high school years. The results are in and they are truly spectacular!